Here's a way to numb the pain of not fulfilling your astronautical dreams and do you one better in the process: Drink this beer actually made from moon dust. You'll get to gulp down real, honest-to-god, beer-soaked moon bits and become one with the moon in the most literal sense possible. 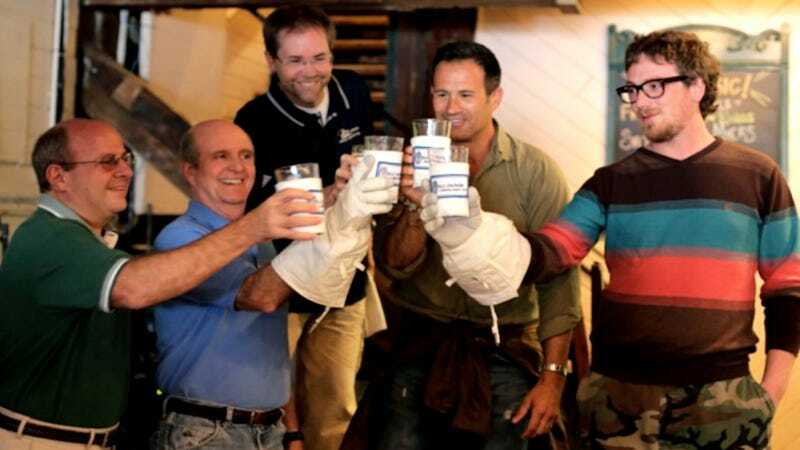 After teaming up with ILC Dover, the company that designs and produces NASA's very own space suits, Dogfish Head Brewery got their fair share of dust made from crushed lunar meteorites and steeped them in a rich, malty Oktoberfest. And it doesn't just sound awesome, the dust is mostly made up of minerals and salts, so it helps in the fermentation process and actually lends to the flavor, giving it "a subtle but complex earthiness." ILC Dover didn't just stop at space beer, though. They even gave the Dogfish Head team a set of ten koozies made from the same material that they make their space suits out of. So should it somehow become possible to down a few brews in the vacuum of space, these little koozies will do just fine withstanding everything from+250/-250F temperatures to micrometeroids going 10 miles per second to solar radiation. So yes, that Orthofabric will keep your beer very cold.